The following is the text of Loksatta Party founder President Dr.Jayaprakash Narayan’s letter to the Hon’ble Prime Minister, Union Home Minister and Governor of AP and Telangana. 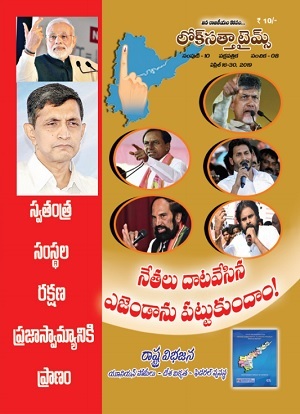 One year after the contentious bifurcation of Andhra Pradesh (AP) and the creation of Telangana State (TS), visceral passions and parochial polarization are once again emerging as serious threats in the two States. Already, the past year had witnessed acrimonious and disquieting discords between the two State governments, especially over allotment of officers and staff including officials of all-India services, creation of a separate High Court, common governmental institutions, college admission and financial assistance for students, and management of irrigation projects where the police of the two states had even fought a pitched battle in Nagarjunasagar - an unprecedented event in modern India. During such episodes, the governments and political leaders in both States had deliberately and calculatedly indulged in partisan rhetoric aimed at rousing regional sentiments and scoring cheap political points. Yet, the lives of the vast majority of ordinary citizens have remained peaceful during this period. However, the latest episode of party defections and attempted vote-buying before the recent elections to the TS Legislative Council, the related allegations and counter-allegations including telephone tapping, and the subsequent developments in both States present a far graver challenge: ranged on diametrically opposing sides are the Chief Ministers along with the respective cabinets, senior government officials, law-and-order and security machineries and the political leaders. In both the States, the day-to-day governance, normal developmental agenda and virtually the entire administrative machinery all have become hostages of this war-like atmosphere. Relentless, partisan and sensational media coverage is only accentuating the regional disharmony. The deteriorating tone and tenor of the public discourse and the surcharged atmosphere in both States have become mutually reinforcing. The repeated and reckless public utterances of the two Chief Ministers and the manner of deployment of the security personnel and investigative agencies in the two States have created the wide and deep impression that the police and investigative agencies are serving only the partisan interests of their respective political masters rather than the cause of rule-of-law and justice. 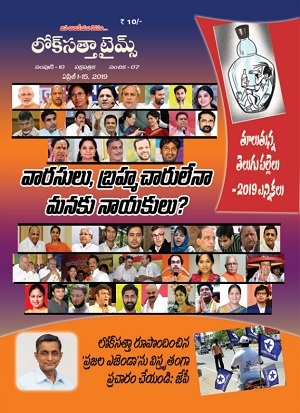 In such a vitiated atmosphere, any enquiry and investigation conducted by State-level investigative agencies such as the Anti-Corruption Bureau (ACB) in the case of Telangana or the Special Investigative Team (SIT) in the case of Andhra Pradesh, would seriously suffer from lack of credibility and broader acceptability. Even if the investigative agencies act fairly, public opinion is likely to be mobilized and polarized by political parties for partisan ends, further vitiating the atmosphere. Therefore the Union Government must immediately step in to reconcile the conflict between the two State governments and restore the spirit of harmony and cooperation. The first step in such an effort would be to ensure an impartial and credible investigation into this entire vote-buying episode and alleged telephone tapping by handing them over to the Central Bureau of Investigation (CBI). Only a clinical, comprehensive and dispassionate investigation by the CBI – one that is insulated from the narrow politics of the two States and also is immediately undertaken and quickly completed – can ensure that the truth comes out and people’s faith in the rule-of-law is restored. Simultaneously, the Union Government must play a greater and proactive role to ensure the smooth resolution of all outstanding bifurcation-related issues between the two States, especially those arising out of the Andhra Pradesh Reorganisation Act, 2014. Only such an effort could promote harmony through effective and permanent solutions that also carry credibility among the public in Andhra Pradesh and Telangana States. We urge you to immediately act to defuse the situation and restore harmony and civility between the governments and people of the two Telugu States. Dr. Narayan, you have once more chosen to reveal your true colors. The fact you chose to treat a red-handed crime and unsubstantiated allegations made by the thieves caught on tape on equal distance betrays your allegiance. Your hope of saving your political patron through central intervention is bound to come a cropper.